Remarkable renovated condo near U of L, Belgravia Court, and Central Park. Renovated Oct to Nov. 2012. Very spacious with wonderful views from the enclosed front sun porch. Huge living room with separate dining area. Two large bedrooms. Beautiful hardwood floors throughout. Freshly painted rooms in neutral colors. Newly remodeled kitchen with maple cabinets and solid surface counter top. This is a must see. 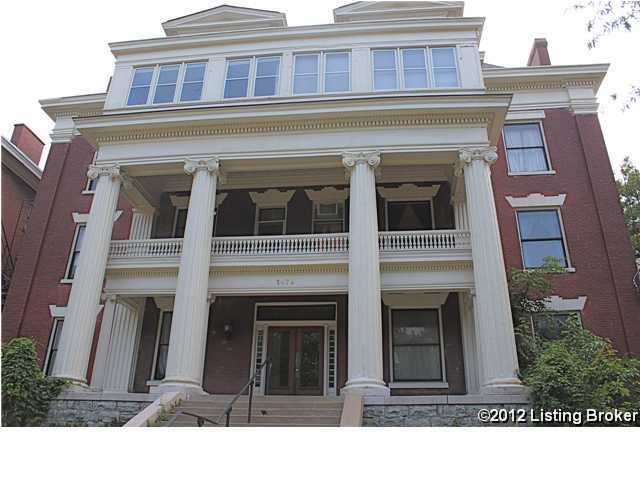 Located in the heart of old Louisville, within walking distance to the University of Louisville and St. James Court. Off street parking behind building. Gas, heat and water included in monthly maintenance fee. Motivated seller. Belgravia is a subdivision within the city of Louisville, Kentucky. There are currently 0 Homes for Sale within Belgravia, with asking prices ranging from $0 to $0. The average list price per square foot of the available inventory in Belgravia is $0, which is the Louisville average of $145. The Average Sales price of all sold real estate in this subdivision for the past year is $92,500. Recent comparable homes have been selling for 93.07% of their asking price. Waterfront homes represent of the available Belgravia inventory. The population of Louisville, according to the 2010 Census, is 597,337. The total number of households in the zip code of Belgravia is 5,336, with an average household size for of 2.08 people. The total number of renter households within the zip code of 40208 is 3,652, which means that 31.56% of households in this zipcode are owner occupant households. 1479 S 4th St #5A, Louisville KY 40208 is a Condo, with 2 bedrooms which is recently sold, it has 958 sqft, 0 sized lot, and Street parking. A comparable Other, has bedrooms and 0 baths, it was built in and is located at and for sale by its owner at $ 0. This home is located in the city of , in zip code , this County Other, it is in the Subdivision, and OLD LOUISVILLE are nearby neighborhoods.